Give Ryan Franklin credit for stepping up to help the team any way he can. The right-handed ex-closer has endured a horrid start to his 2011 season with multiple blown saves, loss of the closer role, and getting booed by the home town Cardinal faithful…any one of which would be enough to make several players throw in the towel and say, “To hell with this”…but not Franky. In an ugly as hell loss to the Cubs (*shudder*) during a rain delay of nearly an hour, things could have been a lot worse for the good guys from St. Louis. Things to keep in mind: 1) The Cards were scheduled to play the Cubs in a day game match-up in just about 15 hours. 2) Jake Westbrook left the game after pitching just 2 1/3 innings, leaving a large chunk for the bullpen to cover. 3) After the Chicago series, the Cardinals immediately travel to Cincinnati to face the Reds in what’s looking like a showdown for first place. 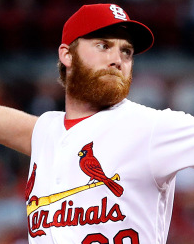 4) Miguel Batista, the defacto long reliever in the Cardinals bullpen, had pitched an inning the night before and would likely be unavailable for multiple innings (no other pitcher fits the “multiple innings” role in the Cards’ ‘pen). 5) Jaime Garcia is set to throw against a Cubs team that has hit better than .300 against lefties. Add all that up, and the Cardinals’ coaching staff (absent Tony LaRussa) had to have a sinking feeling in the pit of their stomach. With Westbrook’s early exit, they could easily have burned through the bulk of the bullpen leaving several arms unavailable for the day game the following day (when Garcia may need some reinforcements). In addition, burning through the ‘pen in that game as well as possibly bailing Garcia out the next day would have left a bullpen on fumes to face a resurgent Reds lineup in Cincy…with the back-end of our rotation pitching the first two games. Enter Ryan Franklin…having not appeared in a game since May 1st. Rust and all, the chinzilla-less righty threw a scoreless fourth inning (kudos to Matt Holliday for a stellar assist from LF to nail Fukudome at home). In the fifth, the rust took over and Franklin allowed 4 runs, all earned, on multiple hits to the soggy Wrigley outfield. He settled down in the sixth to throw another scoreless inning that included a double-play and a strikeout of Carlos Pena. When it was all said and done, Franklin had thrown 3 innings, 54 pitches, and hung in the game for his longest outing since 2006 (when he was a Red). It wasn’t a stellar outing, but let’s be real here. Franky hadn’t pitched in at least 10 days. 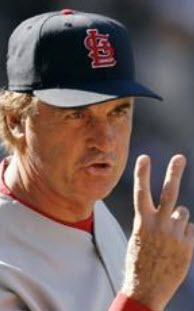 He knew what his job was (to cover innings in a blowout), and he knew he had to throw semi-hittable pitches to last long enough to benefit the team. Let’s not pretend like he was pitching in the ninth of a 1-run game. So…Franklin had his work in. He had done his job in saving the ‘pen. He got beat up in the fifth, but his scoreless 4th and 6th innings were certainly something to build on. Combine that with the treatment he’s gotten from Cards’ fans (booing and such), and his reaction to being removed after 3 innings of work would be pretty predictable, right? Franklin unsuccessfully lobbied Duncan to throw a fourth inning. What?! Ryan Franklin…scapegoat extraordinaire…hated bullpen pitcher making regular appearances in the nightmares of “Baseball’s Best Fans”…wants to throw another inning?! 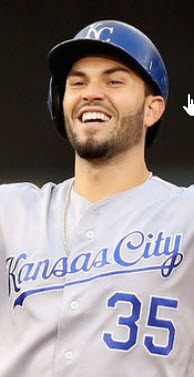 Look…I’m not saying Franky deserves hero status or anything, but I AM saying that if I was in his same position, I think I would take my 3 innings, turn to the booing fans in St. Louis…and promptly tell them to stick it where the sun don’t shine. But not Franklin. He knows he’s been taking up a valuable roster spot ever since being deemed untouchable in close games (a definition that applies to more games than not with this offense). And it’s killing him. He wants to contribute…in any way possible. In a Major League bullpen, there is perhaps no lower role than that of blowout, long relief pitcher. You won’t get the win. You’re likely to get hammered (being deemed perhaps the worst pitcher in the ‘pen and entering a game where the hitters are already mashing). And most fans won’t even remember you appeared in what is already a forgettable loss. But in that role, Ryan Franklin still wants to do his job and contribute. Again…I will compare Franklin’s woes to those of Jason Isringhausen during his final year or so in St. Louis. Izzy had struggled so much that he approached the ever-loyal LaRussa and asked to be removed from the role…because he was hurting the team. That team-first act of selflessness was all but lost on many Cardinal fans as they continued to jeer and boo Izzy mercilessly. Thus far, Franklin is getting the same treatment. Instead, he asked to pitch a fourth inning. In a year when it seems like nothing can go right for Franklin, and in a game where no more glory could be found, Ryan Franklin asked to take the ball for one more inning…and in the process, save the rest of the arms in the ‘pen in games the team could actually win. He asked to help save the very arms that have taken his job in the last few weeks. I really hope Cardinal Nation recognizes Ryan Franklin’s muted effort and shows him the proper appreciation. Enough with the booing, the jeering, and the horrid treatment of a good teammate. It’s time to move on. 1. It’s coming. Albert Pujols is starting to figure it out. 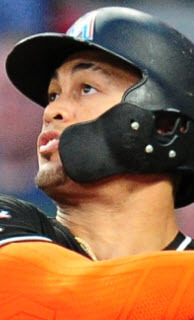 His average is now up to .270…three points higher than his average on this same day in 2004 (.267)…a year when he finished the season with a .331 average, 46 homers, and 123 RBIs. He looks much more comfortable at the plate, and the hits are coming. Look out. 2. Nick Punto is pickin’ it up. In his last 10 games, the utility infielder is hitting .320 with 4 walks. He was 2 for 3 last night with a double, a walk, and two runs scored. Not bad. The Punto/Descalso combination is making the loss of Schumaker and Freese a bit more palatable. Credit John Mozeliak for picking up Punto and going with Descalso over the popular Matt Carpenter out of Spring Training. 3. Rasmus is starting to hit again…now if he can just field. Colby had a game-turning smash down the right field line with men in scoring position last night. Too bad it was caught for an out and a double-play. If that ball gets through, last night goes differently. Not only would the Cards have had a 3-run lead, but we would likely still have been hitting when the rain hit…meaning we would still be at the plate when the delay was over. Does that mean Westbrook’s outing goes differently? Maybe. Regardless, it’s worth noting that the previously slumping Rasmus is hitting .308 in his last 10 games with 5 walks, 5 RBIs, and 9 runs scored. The way he’s been swinging the last few games, it could easily be more. 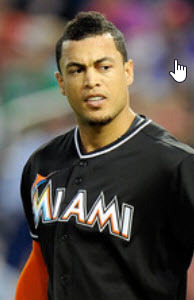 Now…if we can just get him to maintain focus in the outfield. His at-bat in the top of the 3rd wasn’t the only “game-turning” play involving Rasmus. His distracted attempt to field a hit in CF led to more runs and perhaps a prolonged inning (again…affecting Westbrook’s outing?). The good news is, his throwing is significantly better. He’s making progress. But his awareness and leadership in the outfield still needs work. 5. Is it time for a holiday for Holliday? 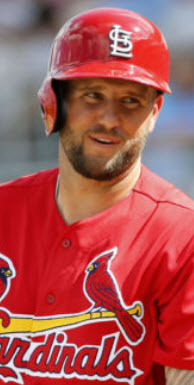 In his last 6 plate appearances, Holliday has 5 strikeouts, 1 hit, and a walk. The strikeout total aside, I would normally say, “Big deal…he’ll be fine”…but the dude has just looked all kinds of messed up at the plate lately. It may be time to give him a breather and let him regroup before the Reds series in GABP. Besides, Allen Craig needs a few at-bats to get ready for the showdown in Cincy, anyway. 6. Memphis Mafia moves into the neighborhood. 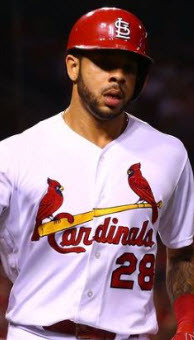 With Freese and Schumaker out, and Theriot gettin’ himself hurt last night, the Cardinals infield may more closely resemble a Triple A lineup than the Cards’ big league roster (Punto gets honorary membership in the Mafia due to his utility back-up status). 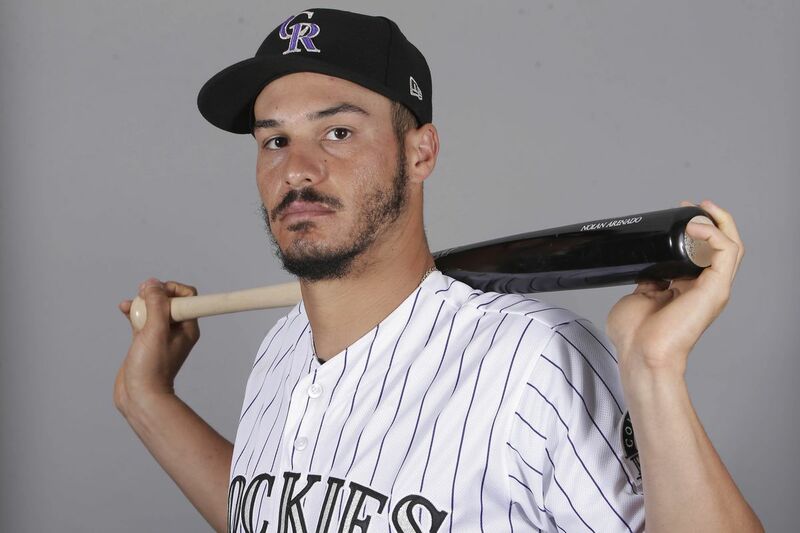 Today’s infield could consist of Descalso at third, Greene at short, and Punto at second (swapping Greene and Punto is a possibility, but I like Greene at his natural position considering his recurring case of MLB jitters). Of course, Craig could get a spot start at 3B to add a bit of pop to the lineup, but he’s a full-fledged, card-carrying member of “The Family” himself. Alright, kids…that’ll do it for this installment of BIRD WATCHING. Enjoy the game today, and if you’re listening at work, try to keep the cursing to a minimum. I don’t know about you, but my supervisors tend to frown on rage attacks in the workplace. Very nice to see something kind written about Franky. I agree, he seemed to have accepted his fate as low man in the bullpen and gave it a good effort, even with his tail between his legs. His demeanor and expressions are heart-breaking, but the fact that he’s willing to go out there for extended innings without any fan support (horrible) is a step in the right direction, I hope. One step at a time. I wish him the best. Seeing him fall so hard, so fast was brutal.